Thomas Township Fire Station Two stands at the corner of Dice and Thomas Roads watching over the houses in the neighborhood. I am not sure if any of the houses standing today are from the town of Dice that once thrived at the intersection. The town was named after local farmer Henry Dice who came to the area in 1860 from Akron Ohio after a three week trip by ox and cart. Dice was formed in the 1870s but for years the post office delivered the mail to the nearby town of Frost. The town continued to grow and had four general stores, two blacksmith shops, and a Church. By 1894 the post office began delivering mail by horse and buggy to Russell’s General store where Frank P. Winslow was the first post master. In the 1890’s Dice was known for its horse races and people would travel to the small hamlet to watch the horses run down Dice Road. In 1904, the post office in the general store closed, probably because the U.S. Post Office changed to rural free delivery or RFD as it was known. A brick school was built in 1928 to replace the wooden schoolhouse and the town continued on into the 50’s but slowly declined and as of today, I think there is nothing left of the little town of Dice but memories. 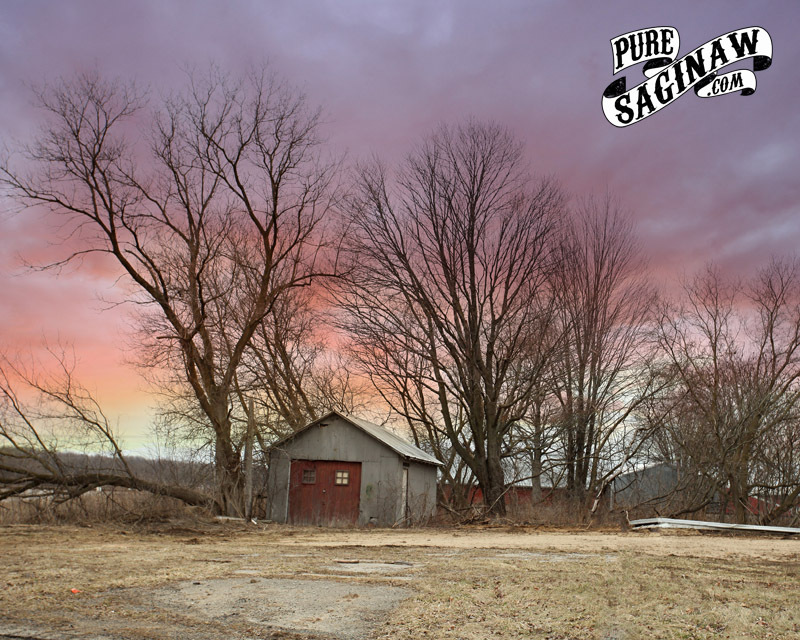 Pure Saginaw wall calendars are in stock and on SALE, They help me with expenses to do this website, you can check them out HERE Thank you to everyone who got a calendar or t-shirt, your support means a lot to me. 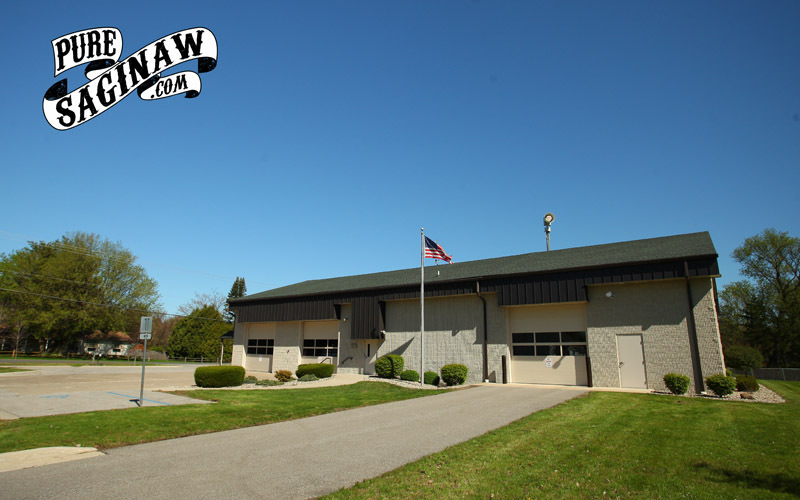 The Freemont township hall stands a few miles south of Hemlock on the corner of Hemlock and Nelson roads. settlers came to the area way back in 1867 and the first supervisor Thomas P. Hynes named the village after his wife, her maiden name was Nancy Nelson. The town’s post office opened in 1883. The town was a vibrant community and had a couple of stores a blacksmith shop and a creamery. A mile to the west on the corner of Nelson and Brennan road is the old Guardian Angel’s church. I imagine many of the citizens of Nelson had worshiped in the beautiful wooden church. 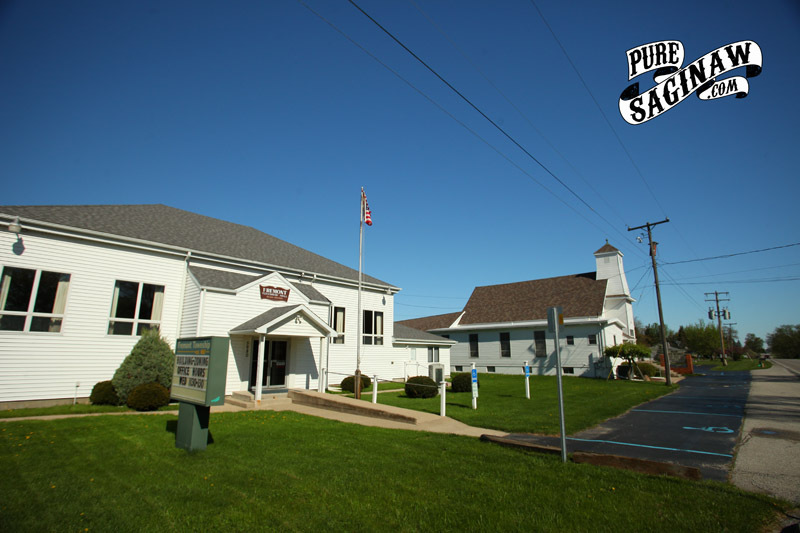 Over the years the town’s population slowly declined and in 1912 the post office was closed. 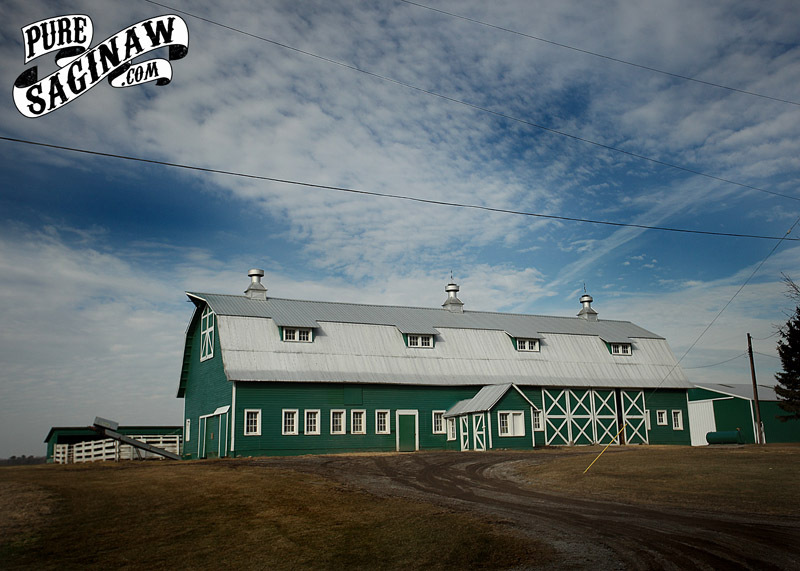 A. T. Blackmar built a sawmill in Taymouth Township, Northwest of Birch Run, and shortly after the town was named for him. The post office opened in 1874 and closed in 1904. The town once stood where Blackmar Road and Moorish Road come together and it had a railroad depot where the train would stop, but that is long gone. The sawmill and everything else from the town are gone too. There are some houses in the area and this old shed that I photographed, but I think they were all built after the town lost its post office. 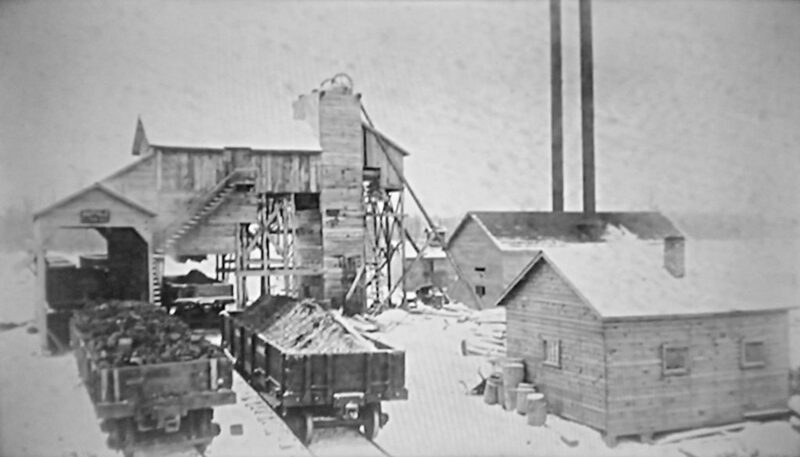 Blackmore is another town in Saginaw county that sprang up with a sawmill and then disappeared when the timber was gone. 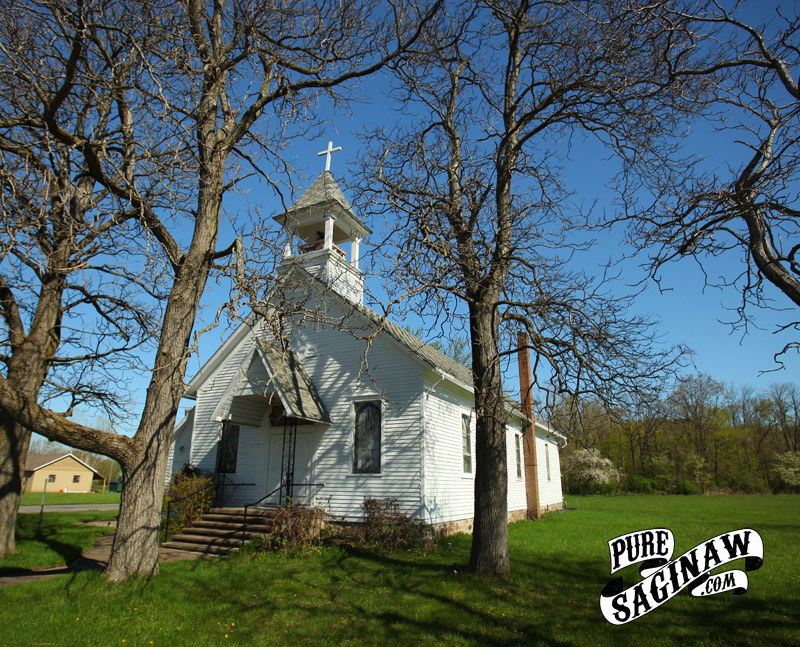 This old wooden church stands near the corner of Burt and Bishop Roads in southern Saginaw County. 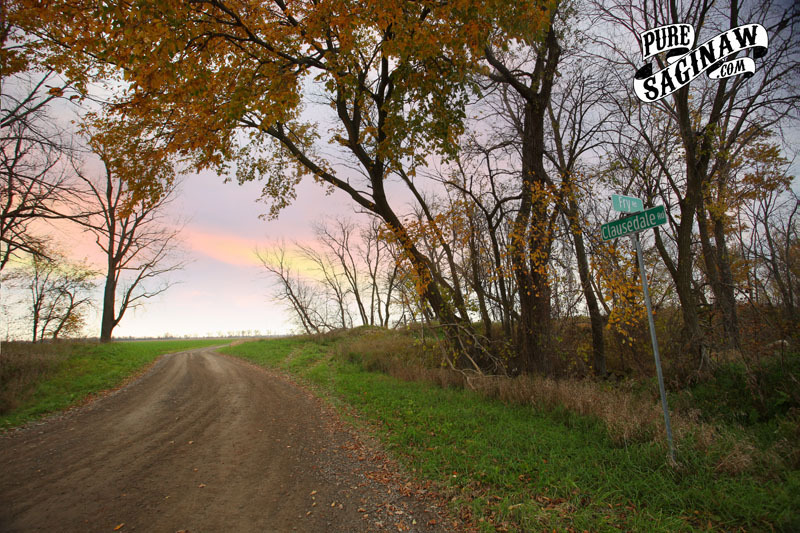 A couple hundred yards to the east is where Burt Road crosses over the Fairchild Creek, and that is where the town of Luce once stood. The town was given a post office in 1890 and it closed in January of 1914. 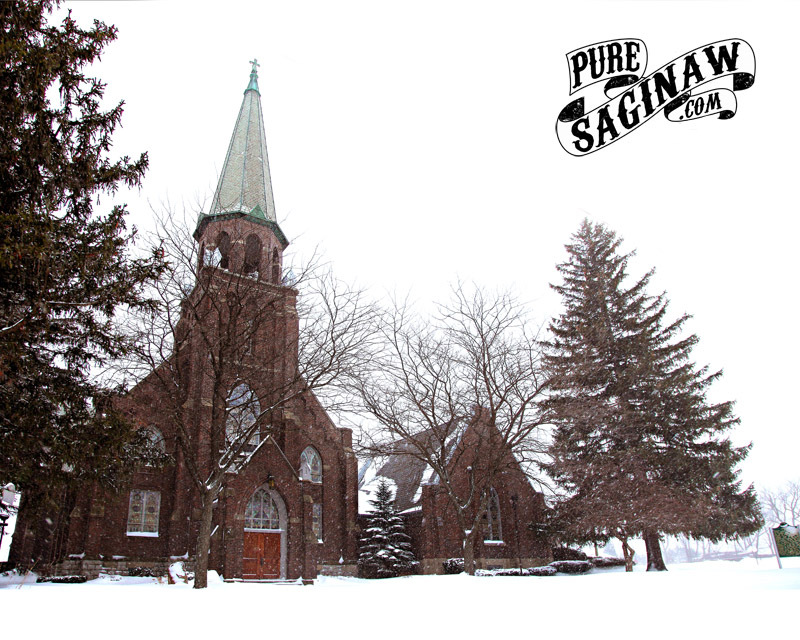 The small community was named after the 21st governor of Michigan, Cyrus G. Luce who was the governor from 1887 to 1890. Besides the town, Luce County in the Upper Peninsula was named after him, and he was the last Michigan governor to have a county named in his honor. I am not sure how old the church is, or if it was built by the citizens of Luce, but it is near where the town once stood. Further down the road is a cemetery. The church and cemetery are probably all that remains of the old town. 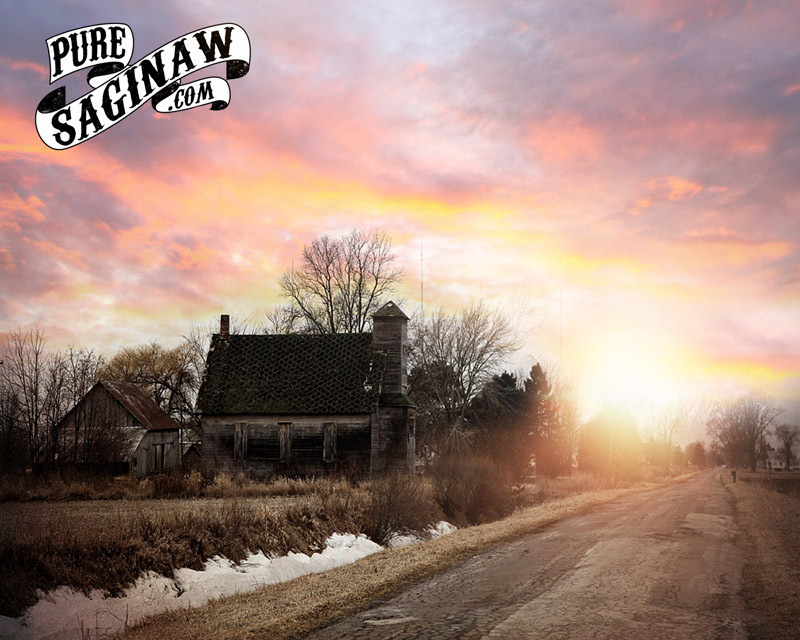 I am working on creating a post for each of the “ghost towns” in Saginaw county, be sure to sign up for email updates so you don’t miss any new posts. 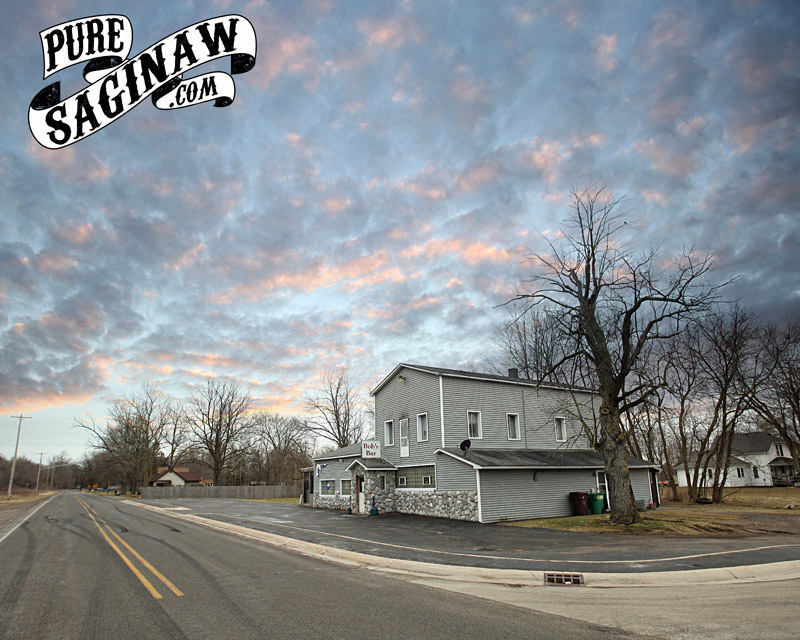 On my quest to find forgotten towns in Saginaw County I found the town of Fosters on the map in north-east Taymouth township, between Bridgeport and Birch Run. I took a trip out there to Busch road and came to a large community of houses. I have never heard of anyone refer to the area as Fosters, but then again I don’t know everything, but it does still feel like a town. It seems as though most towns have, or had a church, general store, school and a saloon, and while most are gone in Fosters, I did find Bob’s Bar. The area where fosters is located was the farm of Gardner W. Foster, who is believed to be the first non-Native American baby born in Saginaw County on the banks of the Tittabawassee River in 1831. 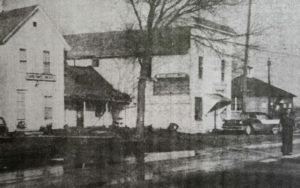 His farm on the Flint River grew to over 150 acres and his son Charles G. Foster also purchased land in the area and created his own prosperous farm. The town’s first post office opened in 1889 and remained open until 1956. The town also had a train station on the Cincinnati, Saginaw & Mackinaw Railroad that passed next to the town. If you are ever near the area where Busch and Dorwood roads come together you can say you have been to Fosters. At the intersection of Mackinaw and Amelith Road was the town of Amelith, and If you’re familiar with Saginaw County, I am sure you are thinking that the town would be in Bay County, and you would be correct. Years ago it was platted as Saginaw County, but the Citizens of Amileth and Frankenlust had easier access to Bay City than Saginaw and they changed the county lines at their request. On the corner of Fergus and Bishop roads in Albee Township across from the old Prarie Saloon, (now Good Times) sits this old general store looking building. According to an old plot map, this was known as McDonough or Mcdonough Corners. There was a post office that operated there from 1892 to 1903, I wonder if it was in this building? 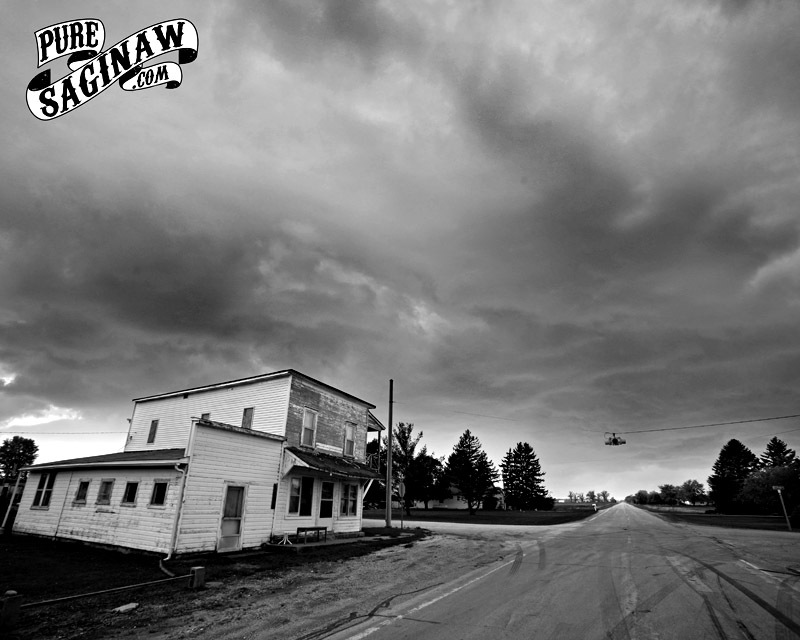 up the road to the north was the town of Alica that was part of the Prairie Farms. I could not find much else about McDonough Corners, but since it’s the closest town outside of the Prairie Farms, I wonder if this is where the workers went to get a drink, hence the Prairie Saloon. P.S. Yeah I know it’s probably not what most people would call a ghost town since there are still people living in the area, but I refer to them as ghost towns since they show up on the map but don’t really exist anymore.